And then there are those Mondays that just feel like Monday. This Monday, my mistake hitting up Trader Joes after work while hungry What ended up in the basket multiple wheels of goat cheese Brie & oh several bottles of $3 chuck. 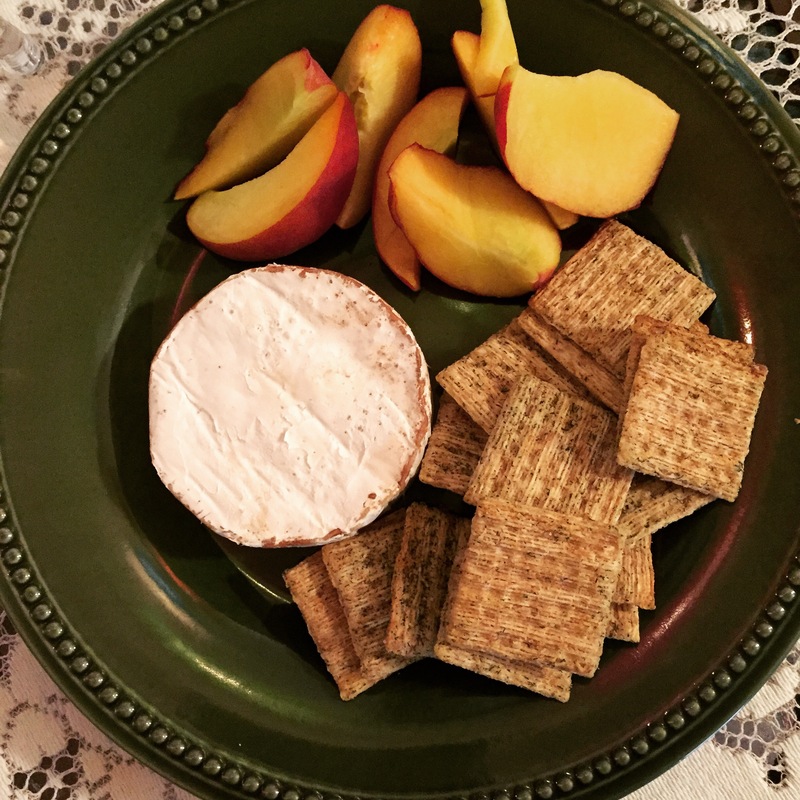 What goes best with this cheese wonderful eas…..dill & sea salt crackers,peach slices from the farmers market (fyi toss a few into a glass of white wine..your welcome) Monday hello & good bye!